The Open Compute Project has gained a lot of traction in the last few years, as hyperscale organizations like OCP leader Facebook have invested heavily in open, standards-based hardware designs. For example, Microsoft climbed aboard in 2014 as part of its push to develop scalable and cost-effective infrastructure for everything from its Azure cloud to the Bing search engine. This year, Facebook's Frank Frankovsky also revealed that Apple had long been a key contributor to OCP, with its work stemming from the need to support and evolve the likes of iCloud and Siri. What does the Open Compute Project's shift to networking products mean? While early OCP work mostly pertained to energy efficiency in general and how it could be achieved in compute and storage hardware in particular, members have recently turned much of their attention to networking. This shift is timely considering the broader interest of Web-scale companies in open as well as bare metal switches. "Think of ONL as yet another piece in the network disaggregation puzzle." During a presentation at the Ethernet Technology Summit earlier this year, Alan Weckel of the Dell'Oro Group offered some context by noting that Google, which only makes custom switches for its own internal use, could technically be counted as the world's second largest switch maker after Cisco. Facebook has also been blazing trails with its own top-of-rack Wedge switch and the subsequent 6-Pack open modular switch platform this February, which it planned to submit to the OCP. The Wedge design was also submitted at this year's Open Compute Project Summit back in March, highlighting the event's overall focus on data center switching. Around the same time, Big Switch Networks contributed Open Network Linux as the reference Network Operating System for both bare metal and branded white box switches. Ideally, ONL will help simplify software-hardware integration, accelerate deployments and support the move to cloud automation. Think of ONL as yet another piece in the network disaggregation puzzle that OCP has been putting together for some time now. Being able to run Linux-based OSes on many different types of open hardware enables the agility and flexibility that have become pillars of DevOps innovation and the transition to cloud infrastructure. The open networking community will at least have much easier access to, and many more options for, an OS for bare metal switches as a result. What are the implications of the Open Compute Project on smaller organizations and their networks? 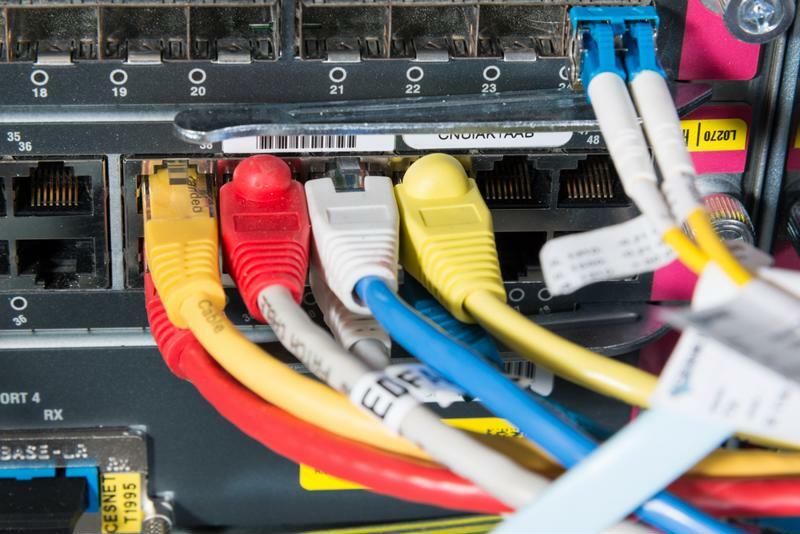 The growing efforts of hyperscale organizations toward creating an open networking stack, via contributions to the OCP, has significant implications for the Ethernet market in the years ahead. While bare metal switches, with their limited support channels, are still most practical for the Facebooks and Googles of the world, the introduction of ONL is an important step forward in making network disaggregation more accessible. For starters, it is one of the few freeware options for a bare metal switches, being an alternative to popular commercial software such as FastPath and Cumulus Linux. This allows for low-risk experimentation and modification by highly capable teams, although ONL is probably not ready yet for deployment in a production environment. For now, it is first and foremost a standard Linux distribution that comes with the necessary drivers and loaders for a streamlined experience with open hardware. The data center switch market is under growing pressure from the Open Compute Project's contributors. Additionally, ONL is also intended to work with the white box/brite box hardware that is more amenable to organizations with relatively (i.e., compared to their hyperscale counterparts) small networks. The top-level innovations from the OCP community could ultimately make white and brite boxes easier to implement and deploy for a wide range of companies, beyond just the prominent Web-scale firms. ONL's support for SDN is also important for future innovations. More specifically, any teams are by definition looking to disaggregate software and hardware as they transition from legacy and physical assets to virtual and cloud network infrastructure. ONL and well established platforms like QualiSystems CloudShell, which enables DevOps automation process across legacy, physical, virtual and cloud environments, will help organizations looking to evolve greater agility. Plus, to switch gears for a moment, ONL could be another important driver of SDN development and uptake among carriers. On the service provider side, ONL's interactions with the Open Network Operating System and the Open Network Install Environment will be worth keeping an eye on. The nonprofit ON.Lab, the organization behind ONOS, is looking to create a reference open ecosystem that brings together ONL, ONIE and some of the hardware developed under the OCP umbrella. The takeaway: The Open Compute Project's contributors are increasingly committed to disrupting the data center switching status quo. With many hyperscale organization now on board, the OCP may have the wherewithal to reshape the Ethernet market and make an open networking stack a reality not just for Web-scale environments, but for smaller networks too. The recent contribution of Open Network Linux could be an important milestone in OCP history - look for it to potentially simplify use of bare metal, white box and brite box switches over time.